A new breed of killer bees has been bread at a research lab for the study of bees. Unfortunately 3 of the queen bees have been sent out to bee keeper's before it was known they were of the deadly verity it is up to Jeannie Devereux and David Martin (Tovah Feldshuh, Efrem Zimbalist Jr.) to get them back before they are added to the hives and swarm. With the help of Jeannie's pilot boyfriend Nick (Dan Haggerty) two of the queens are found and destroyed but they didn't reach the third in time. The swarm attack a 4th of July celebration trapping Jeannie and a pack of boy scouts in a bus. Its up to Nick and Dave to save the day. 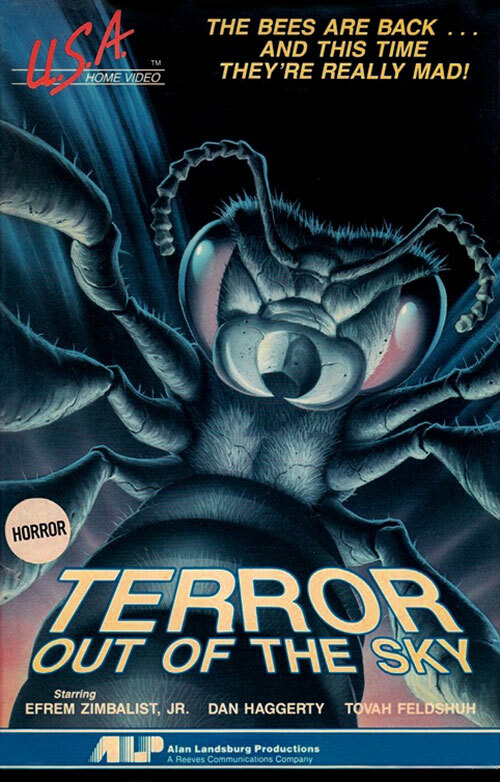 0 Response to "Terror Out of the Sky (1978) Lee H. Katzin"